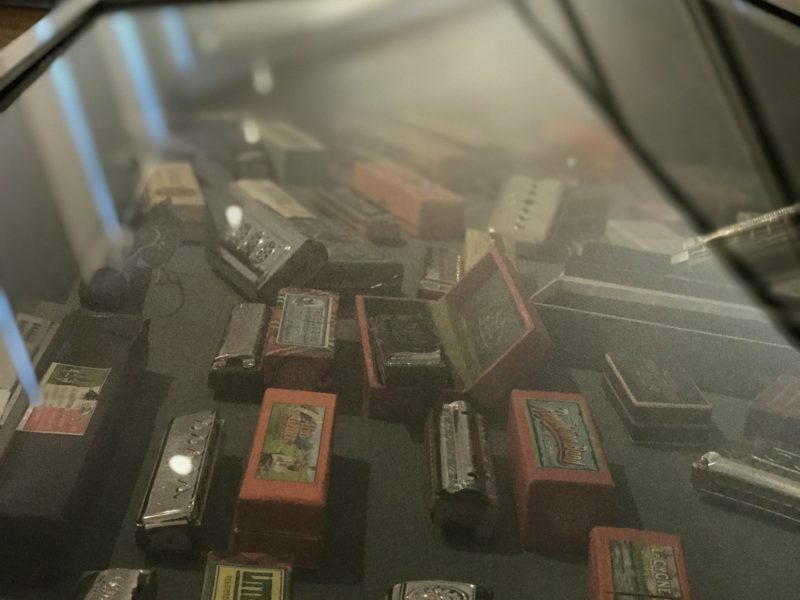 At the time of its founding, the museum had taken over 25,000 exhibits from the Hohner Collection. 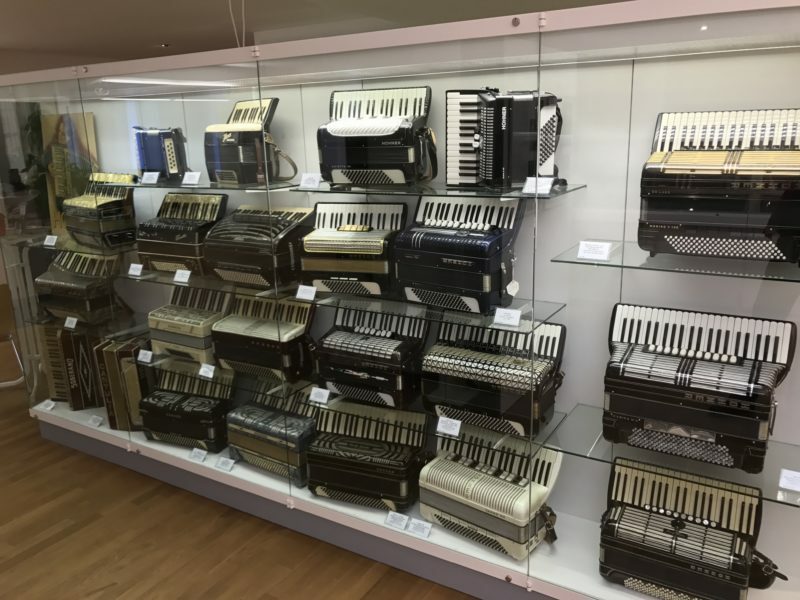 Over the years, of course, the size of the fundus has increased even further. 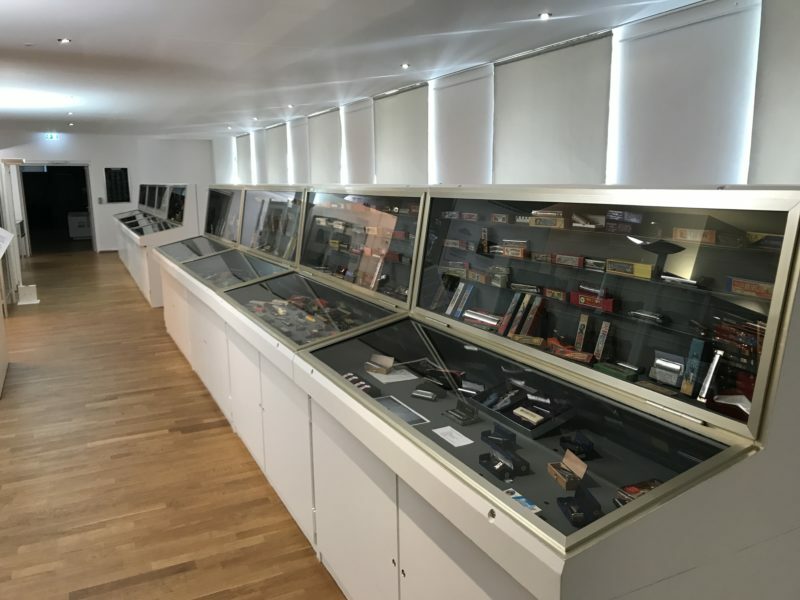 In the permanent exhibition itself only about 1500 exhibits can be visited. 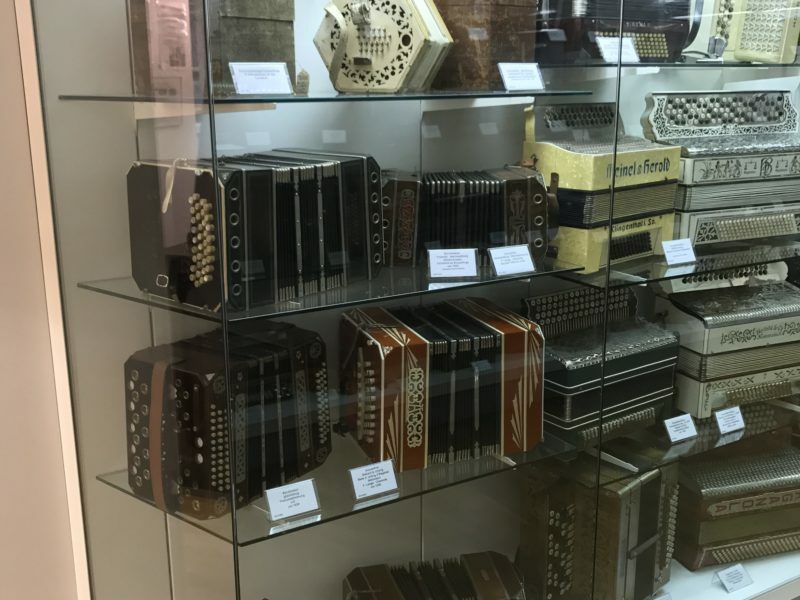 These are carefully selected according to the topics and presented in an appealing way. 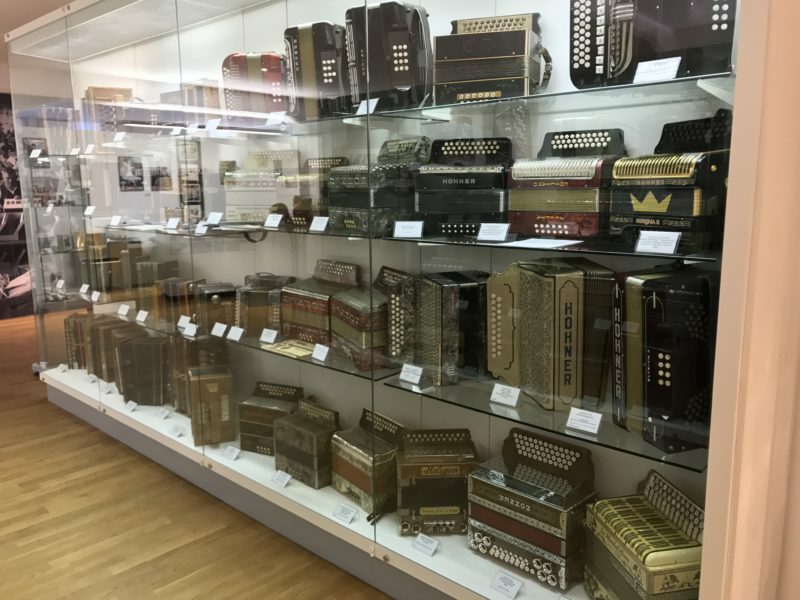 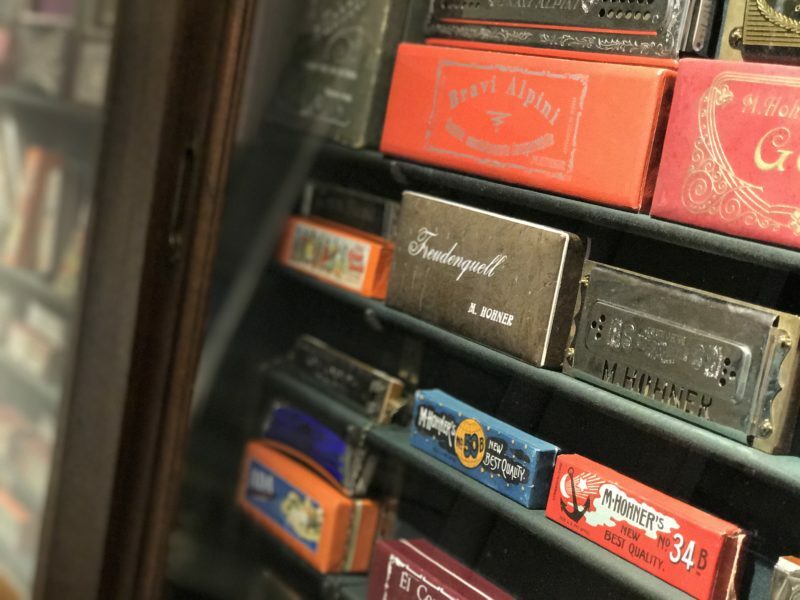 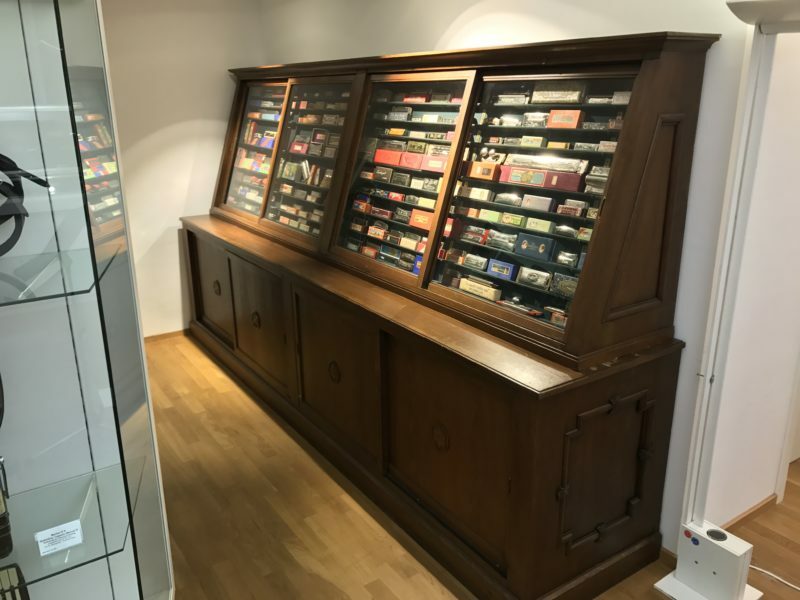 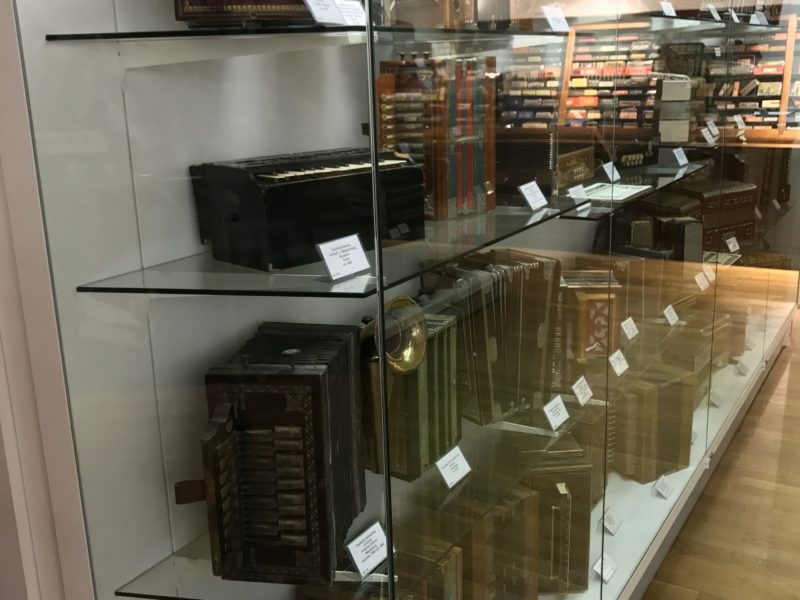 However, in order to offer further added value, for example for instrument lovers, there are numerous other harmonicas and squeezeboxes in the viewable storage area.